Lasagna is the perfect dish to share and enjoy with the whole family. This variation on the Italian classic is packed with fresh vegetables, soft mozzarella and pole and line caught tuna from a tin. 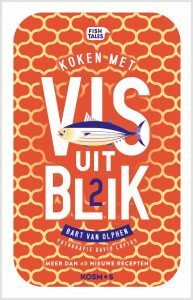 The recipe originates from our latest cookbook ‘Vis uit Blik 2’, in which you discover how easily you can cook great meals with tinned fish. Preheat the oven to 180°C. Heat a dash of olive oil over low heat in a large frying pan and fry the garlic, red chilli and shallot gently for 2-3 minutes. Add the roasted peppers and pour the sifted tomatoes in. Let the sauce simmer for 10-15 minutes on low heat. Then add the basil leaves and puree the mixture with a hand mixer or blender into a smooth sauce. Set aside. Heat a dash of olive oil over low heat and fry the onion for 3-4 minutes. Add the tomato cubes, oregano and thyme leaves (save a few), vinegar and the roasted pepper sauce and let it cook gently on low heat for 5 minutes. Season with salt and pepper. Stir in the tomato puree and tuna, until everything is mixed well, and leave for 5 minutes on low heat. Add extra vinegar to taste. Put a layer of sauce in an oven dish, spread a layer of lasagne sheets over it and scoop a layer of sauce over the pasta. Divide half of the mozzarella, zucchini and aubergine over it, add another layer of sauce, lasagne sheets and sauce and spread the rest of the mozzarella, vegetables and then the green asparagus over it. Finish with a layer of sauce, lasagne sheets and sauce and sprinkle with the young cheese and fresh pepper. Put the lasagne in the oven and bake in 45 minutes until golden brown and done. Put before serving with the saved oregano and thyme leaves on top and drizzle with olive oil.